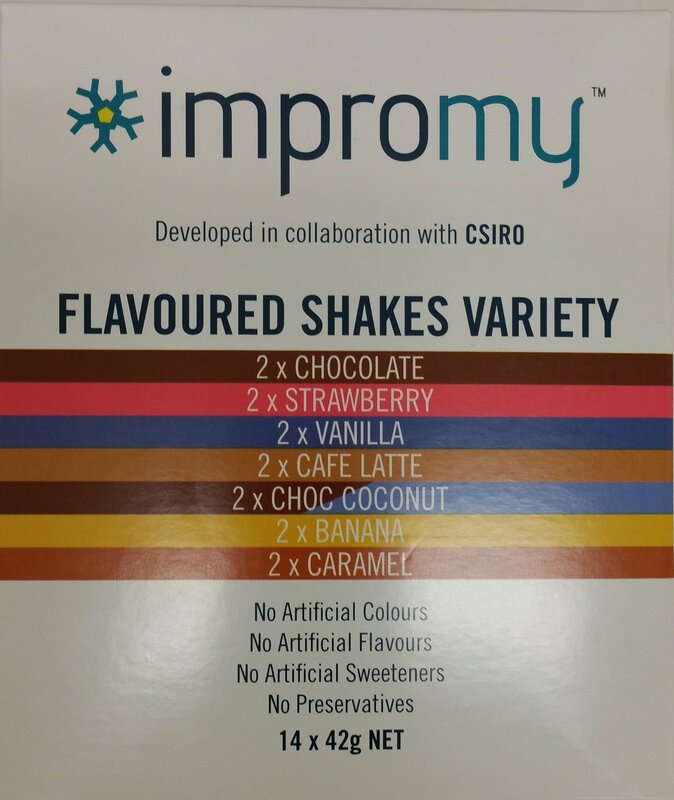 All items in this Impromy category can only be sold to a person who is registered with the impromy CSIRO weight loss program. Contains ingredients from Milk, Soy and Oat products. It may contain traces of Egg and/or nuts and wheat from flavours. As a Meal Replacement, put 250ml of Low Fat Milk into a Shaker. Add contents of sachet and shake vigorously for 30 seconds. Shakes can be mixed with an alternate milk of your choosing, however, this should be factored in to the nutritional values referred to in the nutrition informaiton panel.